One of the members of PJ Foundation, another member is JIET Group of Colleges, Jodhpur. Approved By AICTE, ministry of HRD (Govt. of India) and Rajasthan Technical University, Kota. Successful completion of Ten years. Architecturally beautifully designed building and fascinating landscape. Total build up area of 9,20,000 sq. feet on 16.35 acres land. One Open Air Theatre and ARBUDA CONVENTION CENTRE. Managed by group of Professionals. Only platform of NASSCOM in Rajasthan to conduct its activities & programmes. First private Engineering College of Rajasthan accredited by TCS for regular in-campus activities of poornimaites only. Student Faculty ratio of 15:1. 80% Science Faculty is either Ph.D. or NET Qualified. 36 Books Authored by Faculty members. Unique Poornima Syllabus for soft skills development. Acadamic partner of Infosys for ‘Campus-connect program’. ISTE Award for best college in Haryana & Rajasthan. Well equipped and fully furnished labs for research & development. 24 hours Internet facility with 8 MBPS dedicated line. Libraries at Five locations with over 60,000 books. Digital libraries and E-journals facility far all students. Conveyance facility to facilitate movement of students, faculty and staff members. Parallel Poornima Curriculum (P-PROSKEP) for career grooming and personality development. Tutor system to maintain close relationship with students and parents. Tie-up with International organizations like AIESEC to provide our students opportunities to work abroad. Use of LCD and OHP to support regular classroom teaching aids. Scientifically designed orientation programs for focusing on development of individual student. Fully dedicated Training & Placement Cell, High Placement Ratio. Top notch 35 companies visited during 2009-10 for campus drive. Regular programs in association with IBM Academic, NASSCOM, TCS, MAHINDRA SATYAM, INFOSYS, SUN SOLARIS, RED HAT etc. Exposure to students through industry visits and event management programmes. Students aiming high, not just for Engineering & MBA but also for TOFEL, GRE, GMAT, CAT too. Regular Sports & cultural activities for overall development. Average of class 12 marks of all poornimaiets is 74%. Runs highest no. of Master level programs in Engineering & Management in Rajasthan. Reference and reading sections are separate. Fully Automated and Bar Coded Library. Library open for 12 hours. 24 hours Nucleus Library for hostellers through mentor system. Three Library cards to each student. Additional Library cards to meritorious students. Additional 21 Library Books to mentors. More than 28,000 Books with 5300 Titles in Poornima College of Engineering. Around 11,000 Books with 2400 Titles in Poornima Insitute of Engineering & Technology. Around 3000 Books with 750 Titles in Poornima School of Management. Around 6900 Books with 950 Titles in Poornima Group of Institutions. Around 2600 Books with 950 Titles in Poornima School of Business Management. Over the years residential facilities at POORNIMA Campus have grown to create an atmosphere of co-operation, understanding and community living. The living pattern and learning processes are based on scientifically designed parameters. The residents are exposed to realities of life through various activities, which are helpful in overall growth. GAYATRI GIRLS HOSTEL with double/triple seated furnished rooms with option for air cooled accommodation in college campus. GURUSHIKHAR BOYS HOSTEL with double/Triple seated rooms with option for air cooled accommodation in college campus. ARAVALI BOYS HOSTEL with double/Triple seated rooms with option for air cooled accommodation in college campus. Origin of one new concept known as MENTORSHIP which produces a variety of team leaders, team players and improve the skills of students apart from the academics. Students from all parts of Rajasthan, More than 300 students from neighbouring states of U.P., M.P., Bihar, Uttaranchal, Jharkhand, Himachal Pradesh, Haryana & Gujarat. 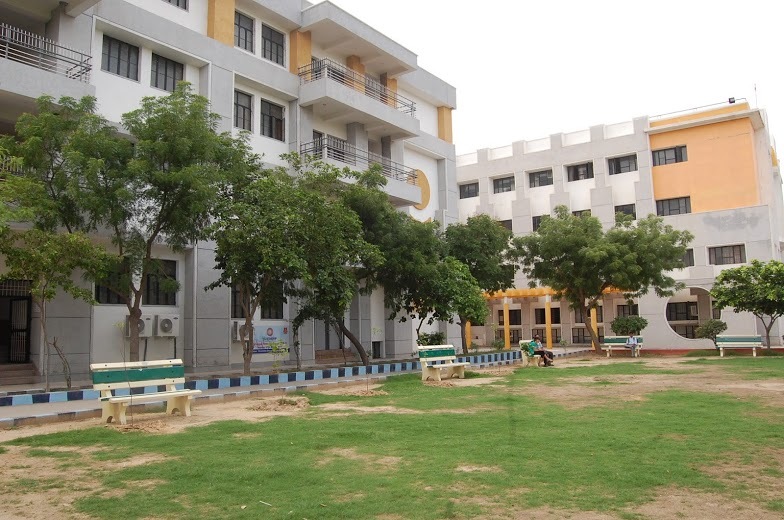 Computer lab, tutorial rooms, gym, lecture halls, provisional store, STD/PCO, canteen and library facility in the hostels. Cross ventilated, fully furnished rooms. Reading rooms with Magazines and Newspapers. Strict discipline, personnel attention and 24 hours security. Six books issued for one session/semester from book bank. Weekly visit by expert Doctor. Vehicles available for 24 hours for emergency purpose. Summer camp and annual picnic. Games and audio visual facilities and regular personality development programs. At least one faculty member of each subject and sports officer reside in Campus. Personal care of study in hostels through mentor systems. 21 Library Books to mentors under nucleus library systems. Different celebrations like Hostel day, sports week, Lohri, New year etc.